Creating Comforts blog is designed to help & inform people on health related issues so that you can take away the positives and apply them to your life to help improve general health and well-being. Professional (medical) advice must be sought if readers feel that they may be affected by any of the topics published or with the advice given. Creating Comforts are a UK based family run creative business that offer a range of foam products, mattresses, supports, wheelchair cushions as well as offering a bespoke made to measure service and specialise in bariatric mattresses & cushions. Use the “comments” box at the bottom of any post to have your say! <—— Follow the arrow to use the social share buttons on the left hand side of your screen to let your friends know how to find us if you find the information helpful! 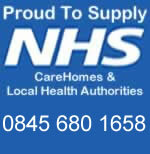 Supply healthcare products to the public, NHS, care & nursing homes. Our healthcare products can be purchased through our e-commerce site.